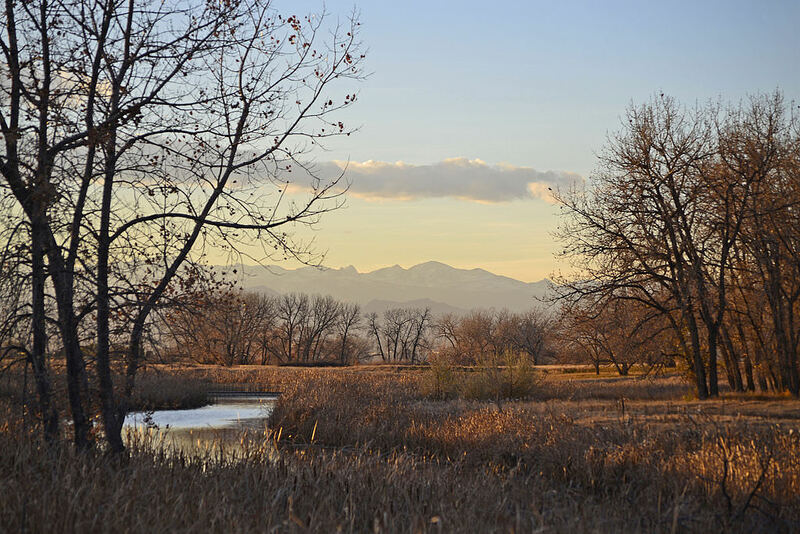 This trail system covers over 4 miles and offers nearby residents a natural haven in the midst of the rapidly developing Denver metro area. 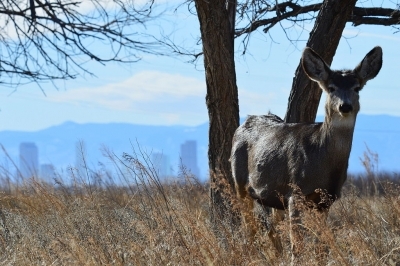 The Rocky Mountain Arsenal National Wildlife Refuge is an urban refuge of more than 16,000 acres of open space and provides a window for fascinating wildlife observation. In addition to its scenic features, trail users can enjoy recreational activities such as hiking and fishing. Autumn at the Rocky Mountain Arsenal NWR. Photo by USFWS/Robert Blauvelt. This mule deer doe seems to be welcoming visitors to Colorado. With the downtown Denver skyline and the Rocky Mountain Front Ran. Photo by Ryan Moehring / USFWS. 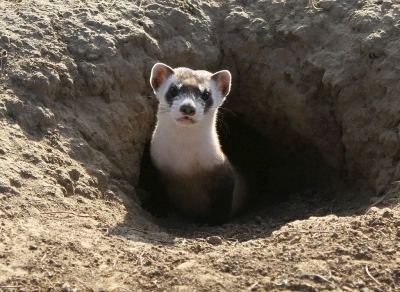 Black-footed Ferret. Photo by USFWS.